Generally, I hate owing people money or meals that they have treated. I much prefer to give than receive. Therefore, after Guy Smiley pulled the Chinese maneuver of claiming to go to the washroom, but actually heading over to pay the bill at the front counter last time at Cho Sun, I was a bit miffed. I had to treat him back! 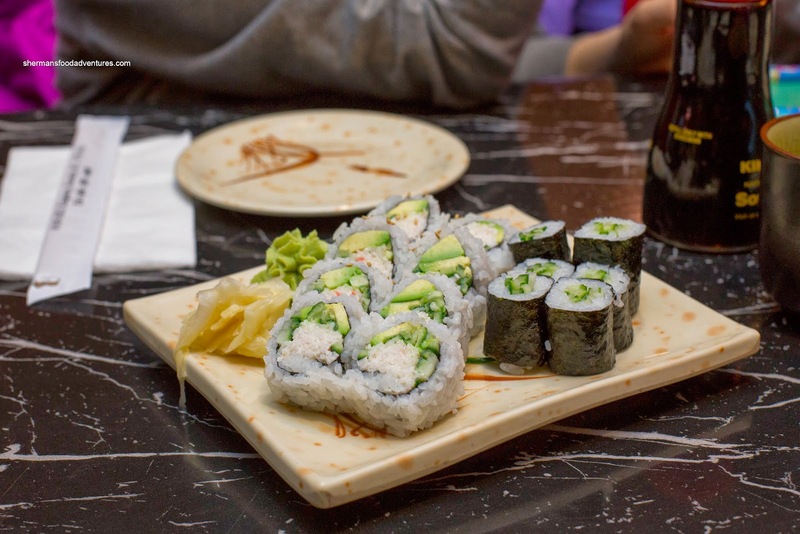 We were planning on trying Kiku in the London Drugs complex on Kingsway, but a recent change left me apprehensive. So, off across the street to Black Dragon Sushi we went. 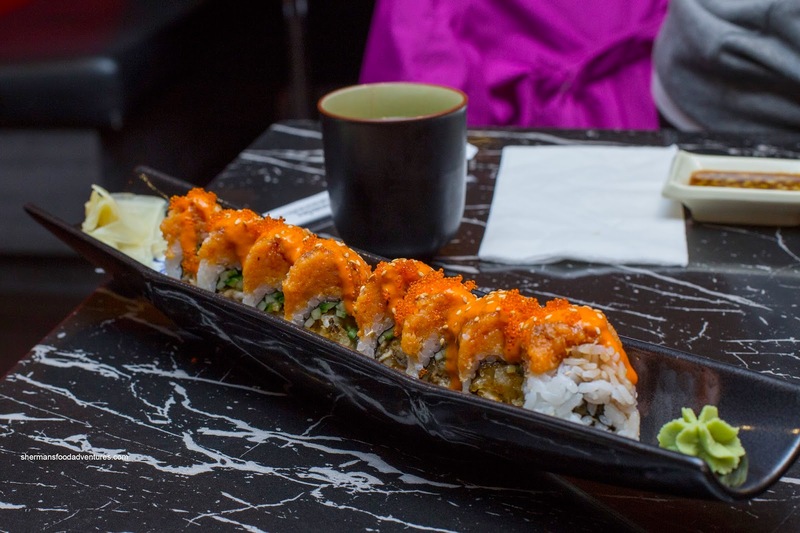 We started with an order of Kappa Maki and California Roll. This was mostly for Little Smiley as she is not into more adventurous items as of yet. These were neatly constructed with lots of ripe avocado. Although the rice was decently chewy with a proper amount of moisture, it was incredibly bland. 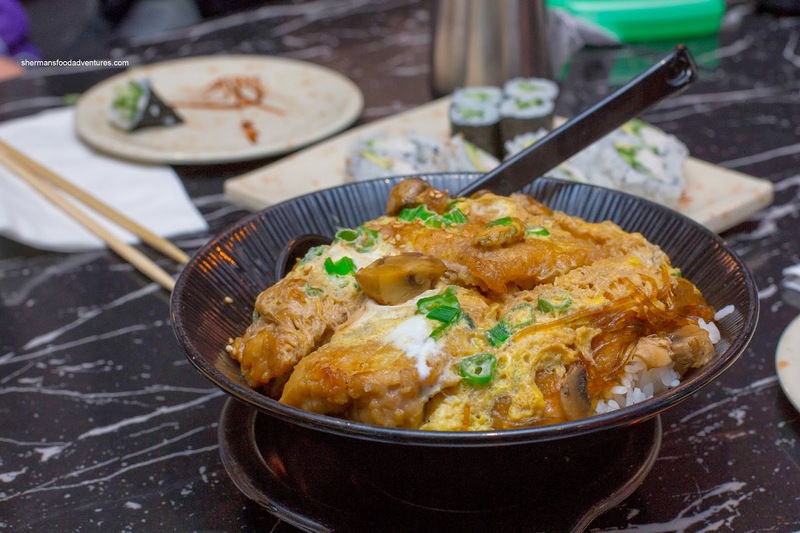 The Oyako Don arrived as a huge portion in a large bowl. There was so much chicken, it was hard to get to the rice underneath. About that rice, I found it a bit too dry where the sauce did not penetrate beyond the vermicelli directly underneath the chicken. Consequently, all the flavour came from the chicken. With being said, the rice was still decent as there wasn't a whole bunch of other ingredients (like some other non-authentic versions). We ended up one each of the Prawn & Yam Tempura and Prawn Tempura. The fact that my son could finish a whole order by himself prompted us into ordering double. 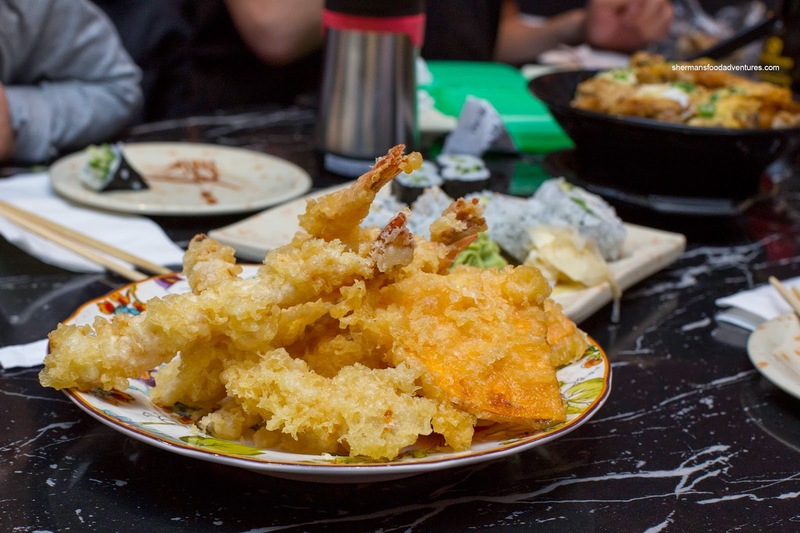 We found the batter to be a little excessive, but overall, the tempura was crunchy and not overly greasy. However, as it sat, some pieces became somewhat more dense inside. For $20.95, the Deluxe Assorted Sashimi ended up to be a fairly good value. 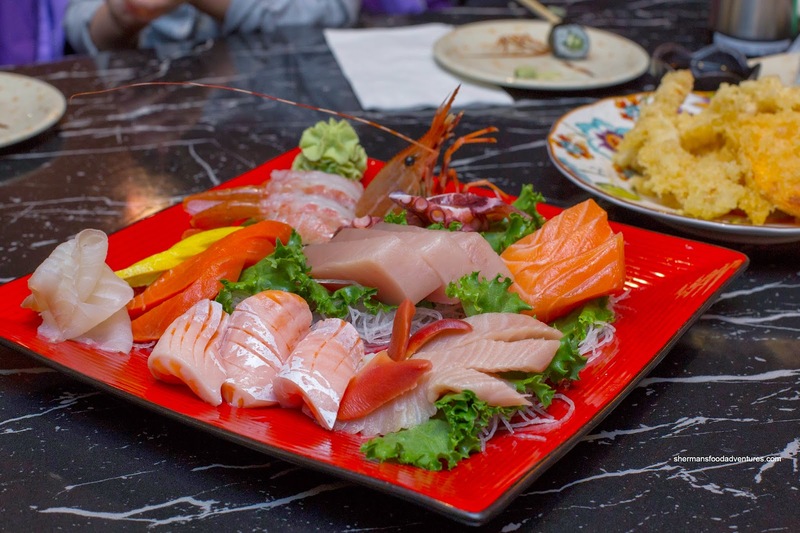 With a large platter consisting of tai, sockeye salmon, ebi, tako, Atlantic salmon, tuna, toro, hokkigai and salmon belly, we were pretty satisfied. Nothing seemed amiss while some items were quite good especially the salmon belly and toro. 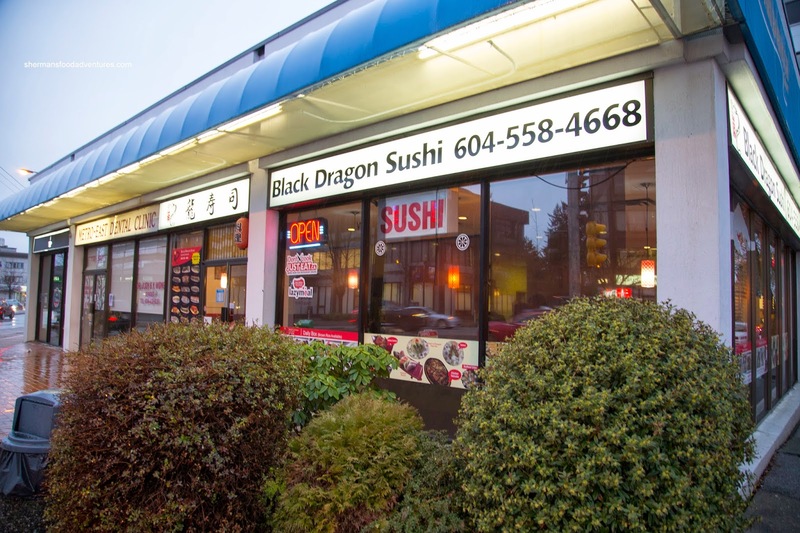 In terms of specialty rolls, we decided to order the Black Dragon Roll considering the restaurant name. Costing a whopping $12.95, we weren't sure why it was so expensive. 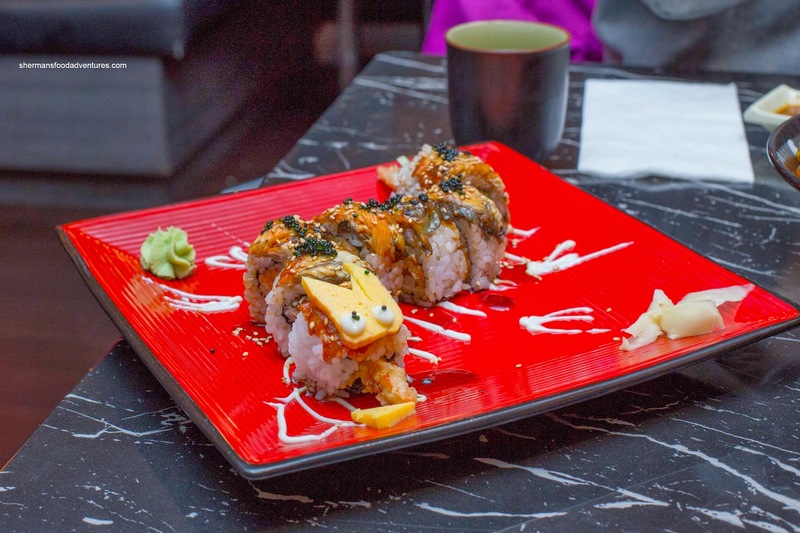 Don't get me wrong, we did enjoy the roll consisting of ebi tempura and cucumber with unagi and tobiko on the outside. Tempura was still crunchy while the unagi was soft and nicely sauced. The reason we thought it was pricey due to the comparison with the Asahi Roll consisting of fried oyster with spicy tuna on the outside. It was only $7.95. Furthermore, all of us agreed that this was one of the highlights as we could really taste the oyster and it was crispy. Furthermore, the spicy tuna was indeed spicy offering a lingering kick. For the kiddies, we got an order of the Nabeyaki Udon which was buoyed by a whack load of shredded Napa cabbage underneath the noodles. We could've done without that. 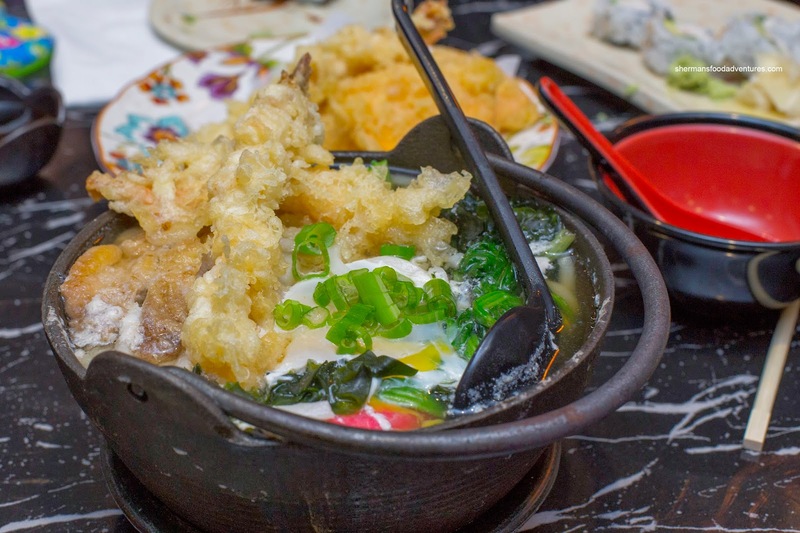 Beyond the cabbage, there was a good amount of ingredients including tender chicken, ebi tempura and raw egg. The soup was more of a chicken-tasting broth rather than dashi. Lastly, we had the Ebi Gyoza, which was pretty good. The large ebi inside was meaty and naturally sweet while the pork was tender and moist. 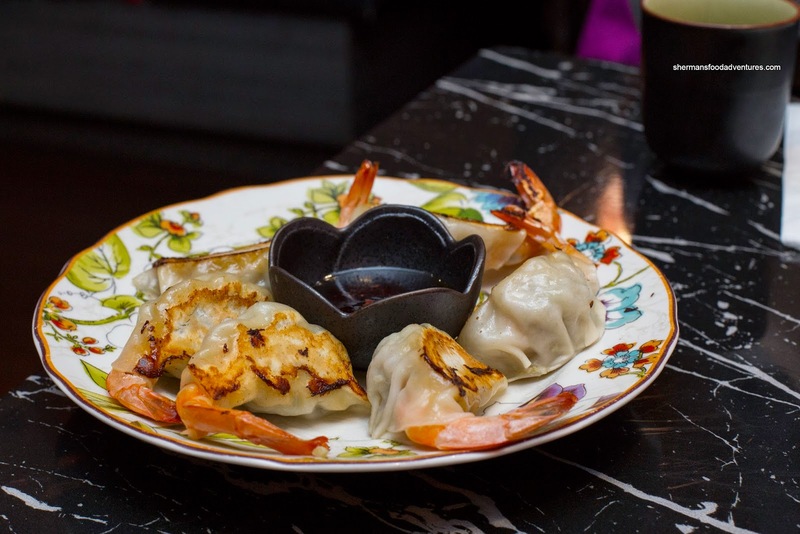 With a good sear, the dumpling skin was crispy and light. In the end, we felt that Black Dragon Sushi was pretty good (especially for a Chinese-run Japanese restaurant) - decent food at reasonable prices. "the Chinese maneuver of claiming to go to the washroom, but actually heading over to pay the bill"
Wow, that must be a genetic trait we have as a culture ! Re: expensive fancy rolls. We have friends who own/operate a sushi restaurant. They say in terms of own costs, a fancy roll would be maybe 10-20% more. But the ++ menu price and profit margin makes it a "very good" profit maker for restauranteurs. Good thing you diverted to Black Dragon instead of Kiku! Kiku was absolutely terrible, I've had better sushi at a food court haha. @Selina Wait for tonight at midnight. I went to Kiku soon after! Yay look forward to reading your review on it! Maybe you had a better experience haha! Did you get their Winter California Roll? @Selina No I didn't, but let's just say I like Black Dragon more.